The side braided hairstyle was once an overused Summer ‘do. Nowadays, it has be.. The side braided hairstyle was once an overused Summer ‘do. Nowadays, it has become a seasonless coif and has been appearing on various occasions – weddings, formals, casuals, awards, etc. Itching to try a fishtail braid? Learn how here! Wanna change your hairstyle without getting a haircut? Try getting a new color or..
Wanna change your hairstyle without getting a haircut? Try getting a new color or colors in the case of Joan Smalls’ ombre hair. You can try the extremes in color type of ombre or the subtle one (three shades lighter in contrast). The key in making this hair art look good is by making the color appear as if it’s gradually changing from dark to light or vice versa. Thinking of ways to prettify a basic wedding updo? Why not add a crystal embellis.. Thinking of ways to prettify a basic wedding updo? 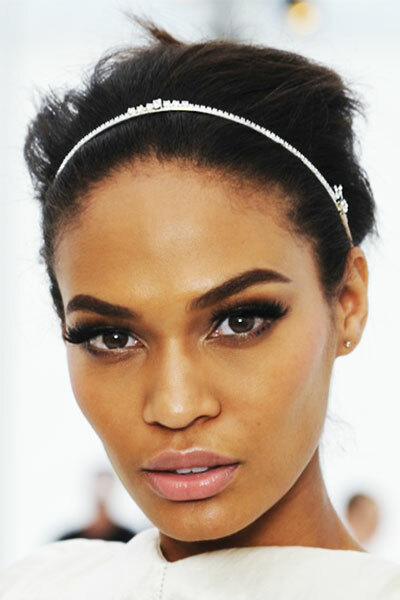 Why not add a crystal embellished thin headband just like Joan Smalls’? It’s a very easy addition to an updo yet carries with it a super stylish vibe! Joan Smalls’ classic beehive is made more interesting by wrapping a couple of fa..
Joan Smalls’ classic beehive is made more interesting by wrapping a couple of faux braid strands around it! If you’re thinking of something elegantly unique for your wedding or a formal event you’ll be attending soon, do give this one a try! Can Joan Smalls’ low ponytail with extreme textures get any more chicer? The s..
Can Joan Smalls’ low ponytail with extreme textures get any more chicer? The stylish coif is evenly sliced in the middle and is heavily polished leaving no trace of stray hair or frizz. The back on the other hand is a full range party – curly, voluminous, messy and matte! Joan Smalls dons a pseudo hi-top fade updo at the Whitney Art Party – The Groun..
Joan Smalls dons a pseudo hi-top fade updo at the Whitney Art Party – The Groundbreakers at Highline Stages in New York City. The superfunk coif can be achieved by teasing the front and crown portions of your mane. 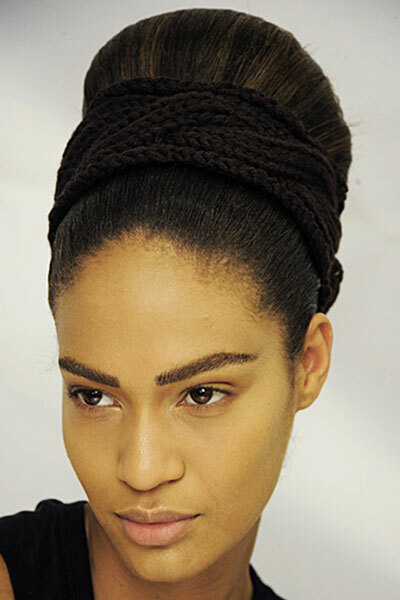 Gather the rest into a sleek French twist and secure with bobby pins. Spritz some hairspray on a comb before gliding it gently on the sides to smoothen it.